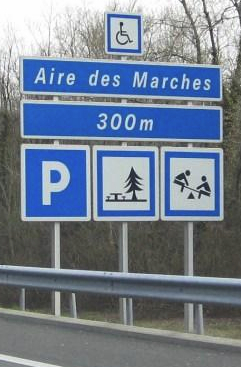 Would you believe Understanding Road Signs in France is one of the most popular posts on the PedalDancer blog? I thought I would add another Travel Tips post about navigating the Autoroute and toll booths in France. Last summer after driving for weeks and weeks along the small roads in the Pyrenees I was so happy to hit the big highway, where the driving was easy, fast and carefree. Except when I found myself cruising along the Autoroute at 130km/h and suddenly came upon a toll booth ahead sign. My first thought was how exciting something to do besides drive in a straight line, my second thought was, oh great I hope I get in the correct lane. Then suddenly 4 lanes expanded into 12 lanes and cars started jockeying for position. Which lane, which lane? 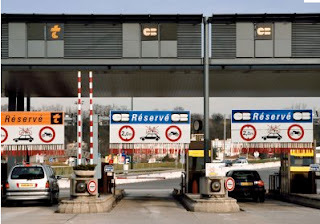 I can't believe I go through the same panic every time I come upon a tollbooth in France. 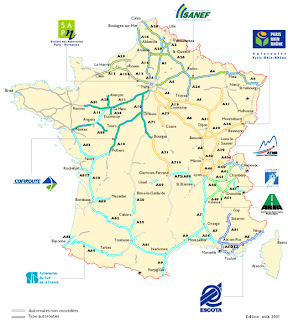 Much of the country of France has auto routes (péage /Expressway/Toll Roads /Motorways), specifically over 7000 kilometers/4200 miles of highway run on a system of tolls. The toll ways are owned and maintained by different companies so you will travel and pay in differing segments as you travel across the country. Becoming familiar with the signs ahead of time should make your journey more comfortable. I mostly research these topics when I want to learn myself. The last thing I wanted was to get stuck in the wrong lane with 6 cars lined up behind me. 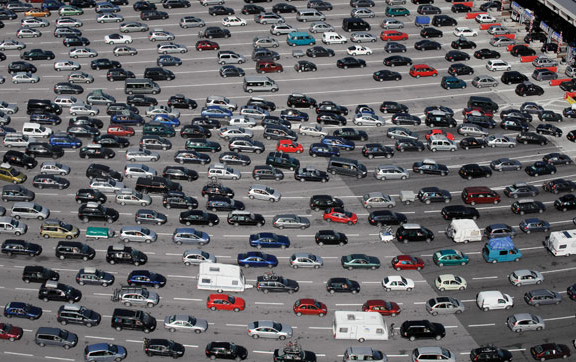 Here are some guidelines for navigating Autoroutes in Europe. 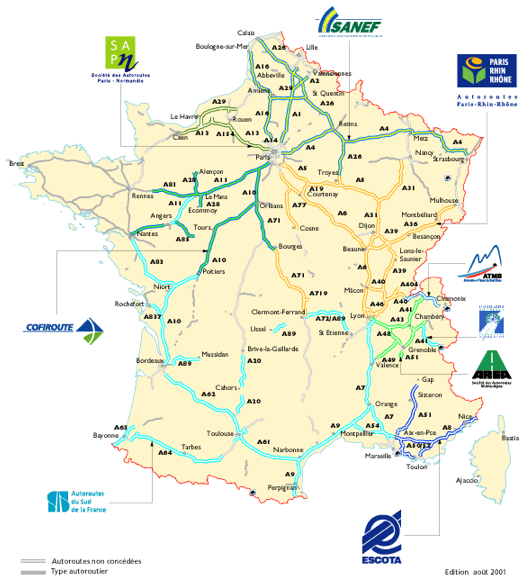 How to find an Autoroute. Look for the blue signs marked péage. The red number at the top is the number/name of the peage (toll road). The green sign is the number name of a National Highway (no charge). Often you can take a national road to get to the same place, but it will take you more time to get there. 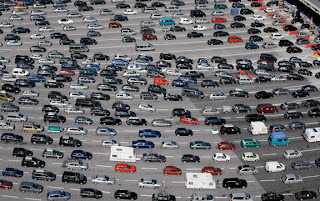 Autoroutes are quick and efficient, but will cost you 4-8 euro per segment. If you drive around 200 km you might end up paying 20 euros in tolls on average. Upon your first sighting of a toll booth area from a distance, your job is to determine which lanes are open. Go for the green arrows. X means the lane is closed. Green arrow with an orange t are reserved/badge lanes. If you have just entered the highway you will be instructed to take a ticket at the gate and not pay yet. Tolls are based on distance traveled. 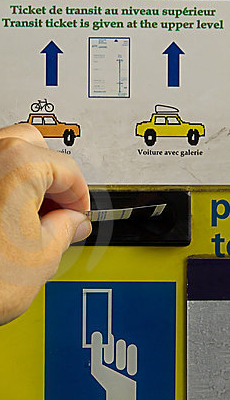 If you see this sign, simply retrieve the ticket from the machine and drive on when the gate raises. 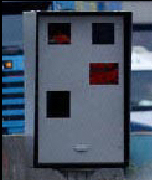 Many ticket machines will be double-deckers, with a ticket dispenser for trucks (high) and cars (low). Be sure to keep the ticket in a safe place, don't loose it! If you do loose it, (and there is no live attendant) push the button on the panel (small black button) and an attendant will answer and instruct you to pay the full price fare (this fare might be greater than your actual fare, but that is the price you pay for loosing your ticket which proves your starting point). Now you are driving along the highway and you see another toll booth ahead. 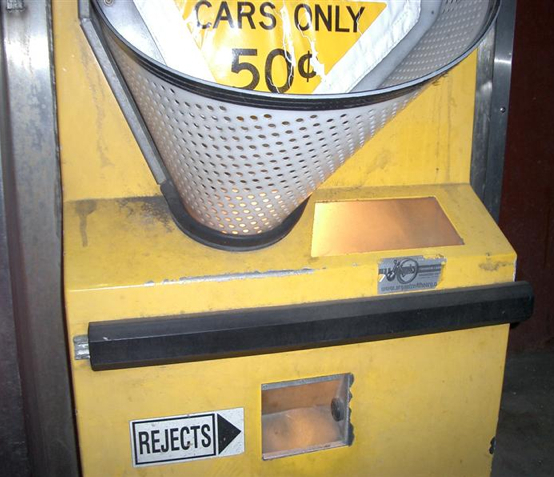 The next toll booth you come upon will likely be a payment booth, you now need to pay the toll. 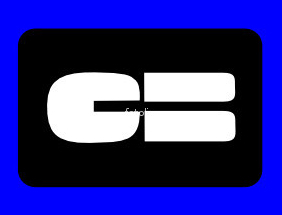 * Be aware that US credit cards may or may NOT work, US chip credit cards may work 80% of the time but there is no guarantee, so keep coins handy. 1. Look for an attendant if you are at all worried about your credit card not working and you see no sign for cash (stay in the right lane and approach slowly). (Attendants will cross lanes to help you, if you are holding up traffic; don't get out of your car). 2. Coins I always keep coins in the car ready. Get in the habit of keeping coins on hand just in case your credit card does not work! I actually travel with a small pouch specifically to hold toll and parking coins ( I don;t simply hope I have some spare change). 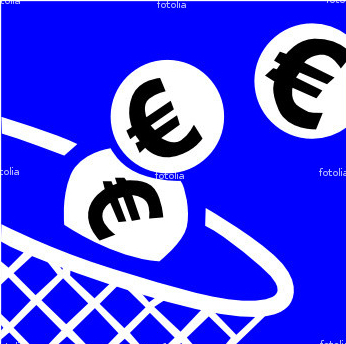 Be aware that some coins might be rejected, this is normal, just keep trying with other coins. 3. I look for the blue signs with CB and pay with a credit card (if you have a chip card). **Very important - do not use a credit card if it is the only card you have while traveling, if the machine takes your card, you will not get it back**. 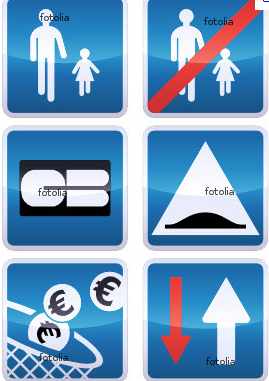 How to pay your toll: You will first need to insert the small paper ticket, and then pay the amount on the screen, you may pay by cash or credit card. 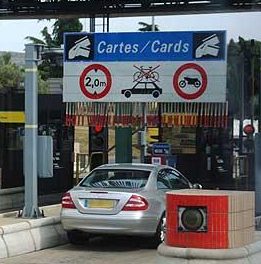 The sign below for Péage par Carte Bancaire indicates that you may use a credit card to pay your toll (if it is a chip and pin card, although some standard cards might work). This is the lane I go for. It allows me to use a credit card. Don't get panicked if it takes more than 1 swipe of your card before you see the green light. However make sure you select a credit card which does not charge per transaction fees (the fees can add up). Update July 2012: After spending 18 days in France, I can report that my American based chip card worked well in restaurants, markets, shops, E.Leclerc gas stations (with CB card signs only), autoroute gas stations, Tollbooths with the CB card signs (only!!). My chip credit card did NOT work at standard tollbooths (I kept coins ready), did NOT work at parking meter pay stations, and did NOT work at unattended gas stations (without the blue CB card logo), and did NOT work at some small retailers (like pharmacies in small villages). The chip card was however very convenient to have, since most credit card machines (at markets and hand held devices) are not swipe card machines but insert your card machines. * Please always travel with two credit cards in case one is not returned from any machine. 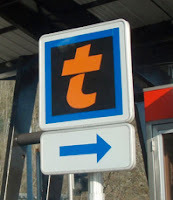 Back to Tollbooths: If you happen upon one of these, start tossing in your Euro coins. 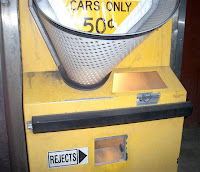 However sometimes your coins will be rejected (for unknown reasons). No change is given for inexact amounts. Remember to keep a supply of coins in your car. Speed limit on the péage in most areas is 130km/h. The Speed limit will drop to 50-90kmh in areas around large cities, and within construction areas to 60-90km/h. 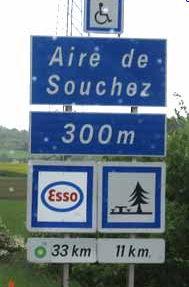 Speed limits change to 30km/h near the end of the péage or approaching toll booths. If road conditions are wet due to rain the speed limit drops from 130 to 110, and 50km/h in fog. Speed limit is 90-110km/h on National roads depending on whether there is a center lane divider. Panneau Radar: obey all speed limits, there are automatic radar boxes located along the highways in France that will take an image of your license plate. You will first see this sign (to the left, below), then the radar box (to the right, below) will be a few hundred meters down the road, together with the speed camera box. These speeds boxes are numerous, they were installed to reduce the number of accidents and fatalities, they have been very successful in doing so. If your GPS unit starts pinging, check your speedometer and reduce your speed, your GPS unit is warning you that a radar box is near. The road speed limit will be encircled on the screen of your GPS. Check your speedometer with the speed limit, if in doubt slow down (and stay out of the left-hand lane). It also will ping near roaming cars. Tremendous fines can be given on the spot by police as well. And must be paid. 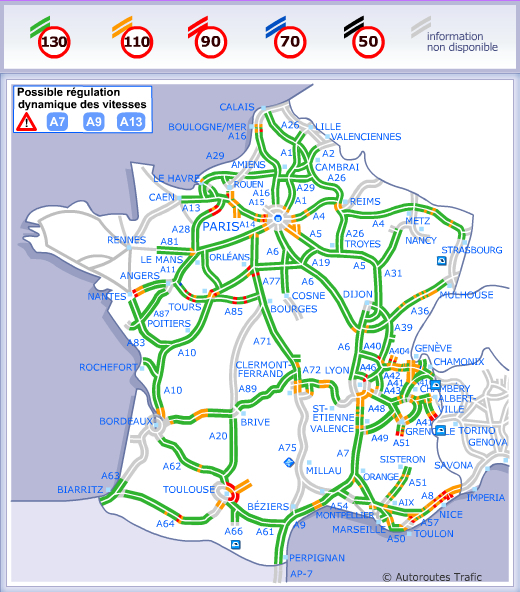 Orange warning triangle and emergency vests must be carried inside every car in France. The triangles are set out on the road, the vests are to be worn by persons in case of an accident or mechanical break-down. They should be inside the car and not in the trunk. In Spain, cars must contain 2 triangles and 2 vests. In Italy every person in the car must have a vest to wear in case the car breaks down along a road. Emergency numbers: Police — dial 17, Fire — dial 18, Ambulance — dial 15. One thing you will notice is that there are very few old cars on the highways in France. All French cars must pass an arduous inspection every two years which clears clunkers from the road. 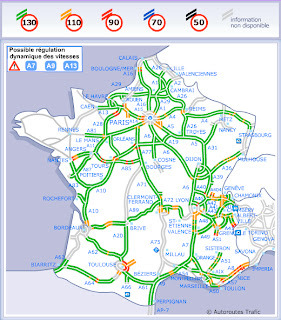 There is no “right on red” in France. Cars entering highways from the right have priority, unless marked otherwise. Don't hog the (left) fast lane. The left (fast) lane is for overtaking only, not for traveling in. If you hog the fast lane, you may also be reminded to move over with a flash of headlights from the car behind trying to pass. Don't speed - speeding tickets are EXTREMELY expensive and if stopped by a policeman you might be required to pay on the spot, with cash! This is a familiar scene in July or August when all of France goes on vacation.